Although I've never read Dickens' Oliver Twist, I've read and seen enough movie adaptations of his other books to expect a rather twisted and depressing story. And in this, Olivia Twisted does not fail; it's very realistic and at times quite sad. The story starts out strong with its admirably tough protagonist, Olivia. I definitely felt empathy for her at first and admired how she had stood strong through all that she'd been through. I was hooked from the beginning. However, I feel that, although the book started on a good note, I never really felt drawn into it after the first few chapters. It turned into a slow read. Of course, Olivia's questionable new friends present many puzzling questions to the plot, which I did enjoy. And I do think the dual points of view add plenty of intrigue. I definitely wanted to know what Z's motives were, even though the pace felt sluggish. And Barnes doesn't let up on her poor characters - the characters suffer a lot and the plot got progressively more and more intricate. I felt very drawn into the whole world of hackers and the kind of life Z lives. A few things I didn't like: Um, I didn't really care for the name Z. It's explained later on, but it still seems kind of weird. And the fact that one of Olivia's friends convinces her to steal a shirt from a store? That felt out of character for Olivia. Even though she's been treated poorly her whole life, I still felt that she had enough common sense not to do something like that. I didn't like how Olivia's behavior and choices spiral down more and more as the story continues. Z was too much of a bad influence to her, even though he definitely had good reasons for being the way he is. And since I wasn't crazy about the characters, I wasn't a fan of the romance; it felt too forced. But honestly, besides these problems, Olivia Twisted is not a bad read at all. Its realism really makes it stand out, and it does offer a pretty bleak view of life, as is only truly fitting for a Dickens retelling. I think it's just one of those "not my cup of tea" cases for me. 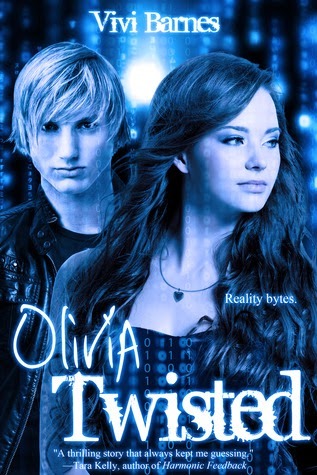 However, I'd absolutely recommend Olivia Twisted for diehard Dickens fans or people who enjoy realistic contemporary. * I received a free copy from the publisher in exchange for an honest review. Thanks!